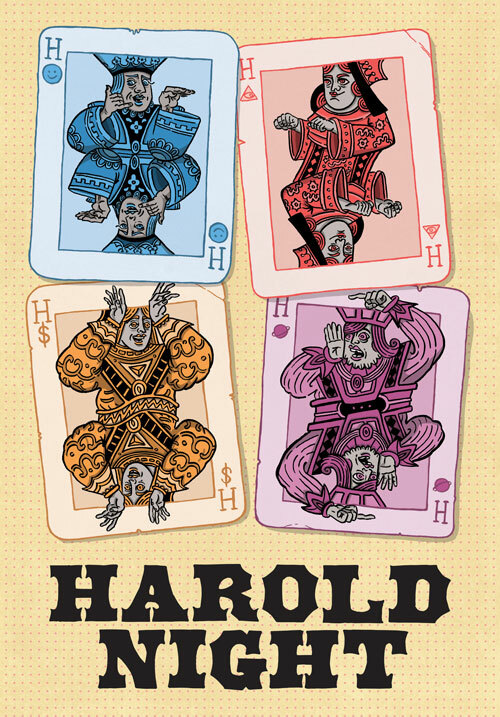 Harold Night is two hours of entertainment each week featuring The Harold, a 30-minute non-stop piece of improvised comedy based on a single audience suggestion. Each night features four of our Harold teams each presenting their own unique take on the format. If other improv acts are pop music, the Harold is 100% jazz. The show is divided into two ticketed brackets with two teams per bracket, so you can buy a ticket to one or both and watch 2-4 Harolds in total.